The three-storey high building incorporated elements of Chinese architecture such as the upturned eaves and the use of geometrical motifs on beams and wall surfaces. 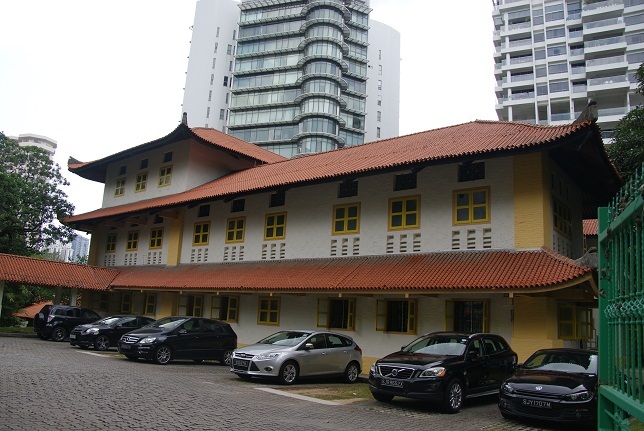 The building was designed by Swan & Maclaren, a prominent architectural firm in Singapore for the Anglo Chinese School (ACS) which occupied the site from 1928 to 1950. It contained 13 classrooms staffroom, a 500-seater hall and a science laboratory. After ACS relocated to Barker Road, the building was used as the Teacher's Training College, the Vocational Instructor Training Centre, the headquarters for the Adult Education Board and then as the Centre for Music and Dance for the Nanyang Academy of Fine Arts. The site underwent restoration in 1993 before re-opening as the Cairnhill Art Centre. Current tenants include drama school Act 3 International, and theatre company The Finger Players.